Home security cameras aren’t reserved for people who can drop a wad of cash on a fancy surveillance system. If you want to add a security camera, but have a budget to stick to, this is the resource you’ve been looking for. We found seven cheap security cameras that deliver high-quality reliability—and they’re all under $50. This is a four-in-one security camera from ZOSI. You can use it inside and outdoors, and it’s compatible with four different video outputs. 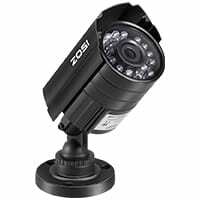 This ZOSI security camera looks like what you expect from a security camera, which should scare away burglars who are on the prowl. And you can find plenty of videos online from customers who caught thieves in the act thanks to this versatile, cheap camera. This affordable security camera delivers a lot for under $50. You get 1080p HD resolution, a 350° pan range, and 4x digital zoom. Plus, with two-way communication, this is a great solution if you want to check in on little humans or fur babies. And customers love how crisp the images are—even at night. But that awesome night vision only extends up to 20 feet. It’s hard to believe that you can get a smart Wi-Fi camera for less than $40. 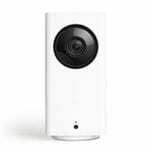 But the Wyze Cam Pan delivers—and it’s become a staff favorite. You’ll love the clear night vision images, built-in speaker for two-way audio, and smart motion tracking that follows movement from start to finish. And if you’ve got a little tyke that likes to sing themselves to sleep, you can check in remotely for a sweet serenade every night. 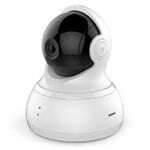 The YI Dome Camera makes it easy to stay on top of everything in your home when you have to be away. And you can wave goodbye to blind spots because the YI Dome Camera features a bidirectional rotation range that captures panoramic scenes. Best of all, you can store all those sweeping images for free on the YI Cloud. 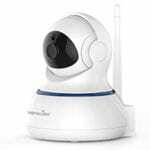 This outdoor IP camera lets you protect your home and property without breaking the bank. The SV3C provides smart motion detection, high-resolution images, and the biggest night vision range of any camera on our list. And at around $40 a piece, you can afford to place a few around your property. You’re in for a treat with this Wi-Fi security camera. The TBI Pro packs in night vision, motion detection, two-way sound, and mobile app control into a stylish (dare we say adorable?) package. Best of all, it’s easy to set up and delivers high-res video and picture quality. You’ll feel like James Bond when you use this sneaky surveillance camera. Just plug it into an outlet and you’re all set to record what’s going on in that room. 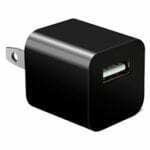 And there’s a bonus—it not only looks like a USB charge adapter, it works like one too. So you can monitor the babysitter and charge your tablet at the same time. It’s fine and good to want an affordable home security camera solution, but you don’t want to sacrifice quality for a few extra bucks in your wallet. Here are our tips for buying smart on the cheap. When you’re buying cheap it helps to know in advance the features that you’re looking for. That helps you weed out cameras that don’t deliver right away. Here are some questions to help you figure out what you want (and need) in a cheap security camera. Do you want to use the camera inside or outdoors? Do you want to install more than one security camera? Do you want a camera to deter burglars? Do you want a security camera so you can check in on people and pets when you’re not at home? 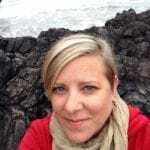 Is a mobile app important to you? Do you want motion-activated alerts sent to your phone or email? Do you want to be able to listen in and talk through the camera? Are you interested in a camera that you can move around, or do you want to install it in a permanent location? Are you more interested in wireless cameras, or are you okay with a power cord? Is storing and saving video footage important to you? If so, do you want to use cloud storage or do you prefer an SD card? Do you want to watch a live video feed? Are smart home features and compatibility important to you? Finding high quality at low prices is a lot easier when you know which brands deliver at a lower price point. Start with brands that you may already be familiar with, or ask trusted friends and family for recommendations. Then research expert reviews and customer ratings to see what people are saying about the camera after they’ve used it for a while. The purchase price posted for one camera may not be the whole story. Some security cameras are part of a bigger system and require extra equipment to function. Extras can be a base station, playback DVR, or cloud storage subscription. 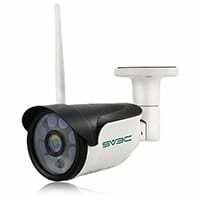 Take time to read the fine print and root out any extra costs before deciding which cheap security camera is right for you. SafeWise tests, researches, and compares products based on the factors that matter most to the people who want to use them. We get our hands on products, fall into rabbit holes of research, look up customer reviews, contact customer service, and more. Learn more about our rankings and reviews process on our methodology page.